You may not be familiar with Speculoos cookie butter unless you shop at Trader Joe’s. For the past several years, Trader Joe’s has been carrying this unusual product from Europe, which is essentially mashed up cookies with spices and fat in a jar resembling peanut butter. In fact, it resembles peanut butter so much that it would be easy to mistake the two if you put them next to each other on a spoon. 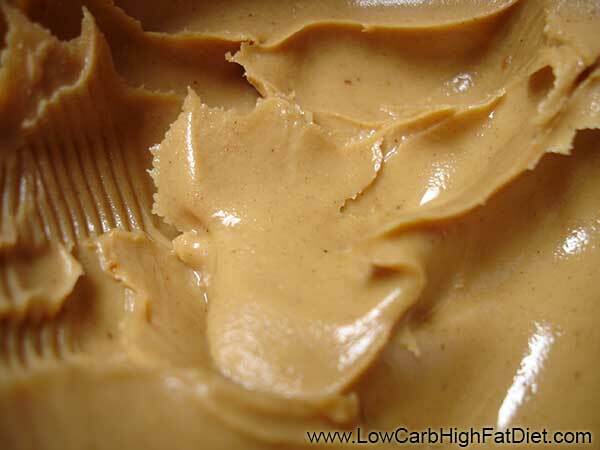 Cookie butter didn’t come into existence until after I started eating a low-carb high-fat way. At least, if it did, it wasn’t something I was aware of. I think that’s probably a good thing. Cookie butter is just the sort of unhealthy and indulgent snack that I think would have appealed to me endlessly if I had encountered it a few years ago. Fortunately I didn’t give it a try until this past week. As I’ve mentioned before, the way that I do my low-carb high-fat diet involves having one day a week when I do a carbohydrate reload for about six hours. The advantage of this is that it resets my metabolism for carbohydrate tolerance, while giving me the opportunity to experiment with foods that I no longer eat on a regular basis. If there’s something I find myself wanting during the week, I can always tell myself have it on Saturday. Not that that level of craving happens very often anymore. But for a while now I have casually noticed the cookie butter jars at Trader Joe’s. It’s such an unusual sounding product, I felt like I had to give it a try. They’ve priced fairly high for what it is, which makes the decision to buy a jar just that much more challenging, especially when you have to buy so much at a time. But I finally said enough is enough. They set the bar fairly high for this new food type. Even the clerk at the checkout counter emphasized how much he loved it when he saw it among my groceries. He didn’t comment and anything else that I was buying, and I wondered if that’s something that Trader Joe’s tells the clerks to do when they buy one of the company’s exclusive products. Cookie butter is one of those foods that you can only find at Trader Joe’s; so far the concept hasn’t caught on to the point that other manufacturers are making their own versions. I was curious enough about this product that I bought it on a Saturday, making sure that it would be available to me as soon as I hit my window of carbohydrate eating for the week. When I got it home, I immediately opened the jar, grabbed a spoon, and took a taste. I have to say that I wasn’t blown away. It took about two or three licks before I really got the taste of what this was. The texture was very close to peanut butter, and it has a nice gingery cinnamony cookie-like flavor. It was a bit like gingersnaps or maybe graham crackers, but reconstituted as a paste. Very clever, but so far not a home run. After a few more tastes, I realized that there was something about the consistency that was little bit annoying. It was smooth and rich and fatty, but it was not the kind of fat that I like. In fact, the fattiness was getting in the way of the flavor. And the unexpected flat taste of cooked flour made it just that much harder to appreciate. Going over the label more carefully, I realized that fat in this product was mostly margarine. It looks like the cookies are baked with margarine, and then the paste is made by mixing the powdered cookies with a margarine base. Now I don’t limit myself in terms of the types of foods I eat during my six hour window of carbohydrate eating every week. When I’m reloading, I’ll eat anything that happens to catch my fancy, and I usually pay the price with stomach cramps later. But changing my diet has truly changed my standards, even when it comes to junk food. Somehow, this junk food wasn’t cutting it. I think it’s fortunate that I was introduced to this product after I started eating low-carb high-fat food on a regular basis. I suspect that if my taste for fat hadn’t been refined by all the pure butter, bacon grease, and coconut oil I’ve been eating, I might have found cookie butter very appealing. I gave it a fair try. I even came back to it a week later to taste it again, spread first on some crackers, and then on some apple slices. I still found it pretty disappointing. In fact, I found it so unsatisfying that I ended up bringing the rest of the practically full jar to the office, and leaving it in common kitchen for my coworkers. It’s good to have a place to drop off the debris from failed carbohydrate experiments. Because my mind just works this way, I have naturally been thinking about low-carb high-fat recipes I could invent to create something similar to cookie butter. I would probably start with my almond shortbread recipe, mix in some cinnamon, and then mash it with real butter to make a product that’s as smooth and pastelike as cookie butter, but without the flour and margarine. With a little experimentation, I don’t doubt that I could get a similar texture. I just don’t feel like it. I wasn’t impressed, and I’m grateful to the low-carb high-fat way of eating for that.